I have always wanted to just get a cruiser for a long time and without a doubt when I saw this deal, I knew I needed to share it with our readers. Right Now on ebay there is a slightly dinged up V-Rod that is going for around $4,000 right now. I wouldn’t pay over 7,300 for this thing but if you can still get it for under that I would jump all over that. 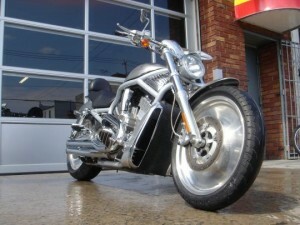 If you want a V-ROD and you want it now check out the link here!